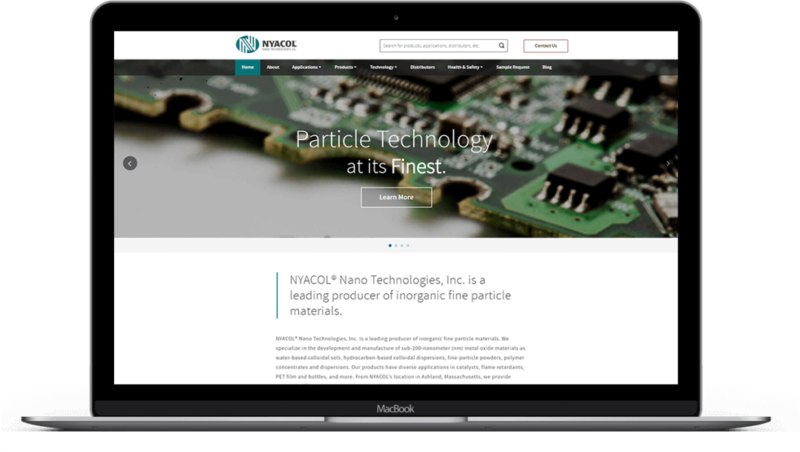 Nyacol Nano Technology | NPWS, INC.
Nyacol’s primary goal was a website that was modern, professional, easy to use, and search-engine friendly. 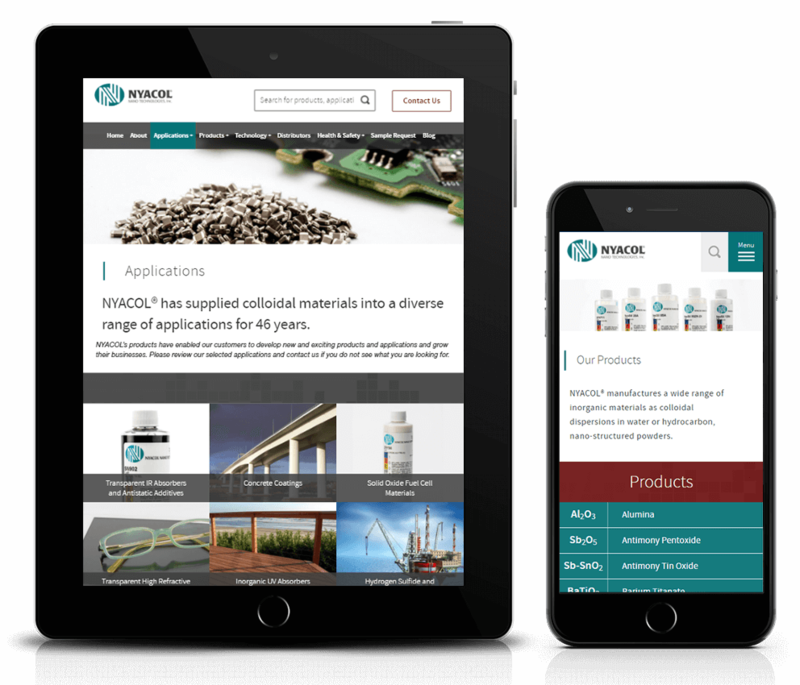 They also needed to cater to mobile and tablet users, and improve access to documentation and sample requests for all their products. Lastly, they needed a Content Management System to keep it all updated in a cost-effective way. We delivered a fully redesigned, custom website complete with new photography and a responsive design. We addressed the different needs of new and returning customers and created a fully editable back end to make it simple to add, remove and modify products. The result is a process that is easy to manage with a seamless experience for the user on any device.